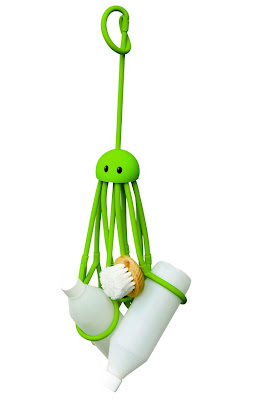 I've been eyeing this little beauty off for a while - an octopus to hold all your shower time bits and bobs! At the moment my most used bottles (such as shampoo, conditioner, etc) sit on the bath edge (shower/bath combo) and it doesn't take long for the water to pool under the bases and start to mould- yuk! With this baby (from Pa Design), hopefully that problem will be eliminated. 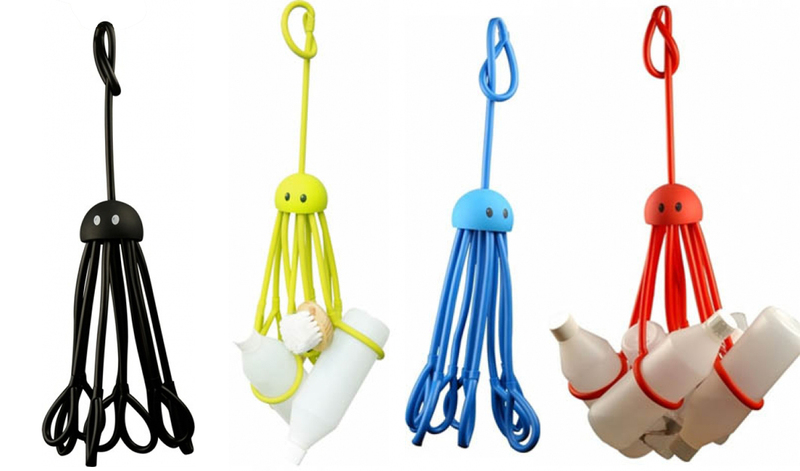 Apparently the 'tentacles' adapt to any type of bottle and now I've finally found a UK stockist, I'm in! 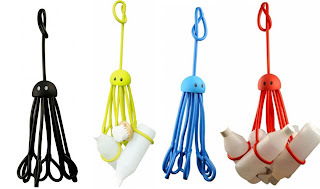 UK people can get one here - US people have a few more options.